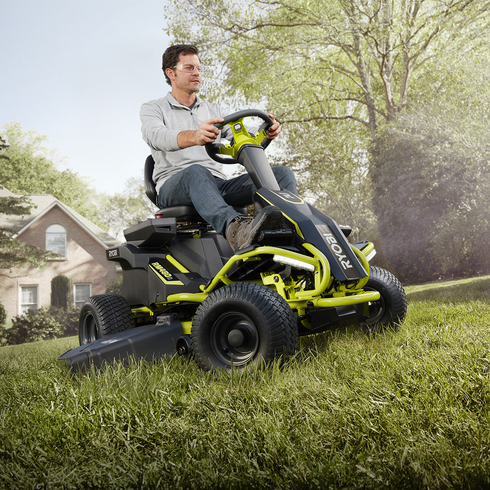 The Brinly-Hardy Dethatcher Attachment design is optimized for the RYOBI Electric Riding Mower. 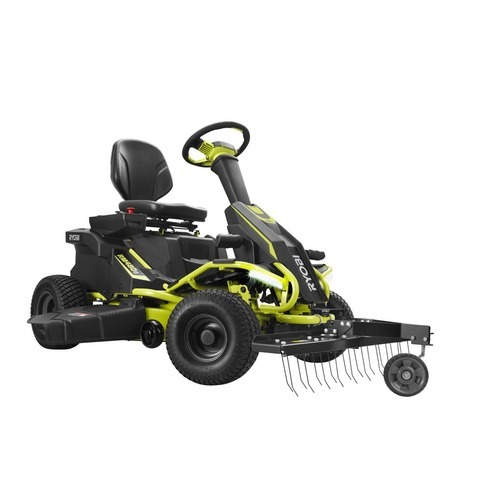 With its front-mounted design, you'll work smarter not harder. 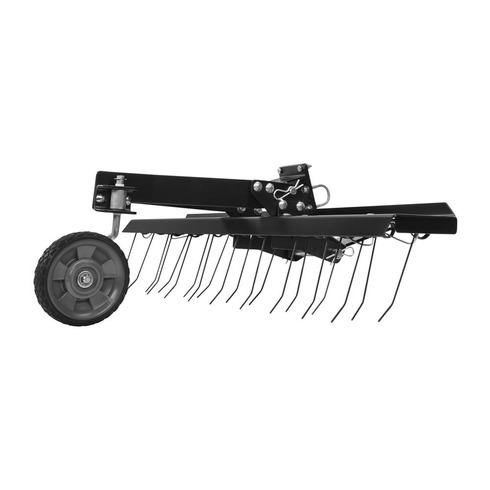 The double rows of steel tines mean maximum thatch pick-up, while the floating pivot and single front wheel ensure easy maneuverability. Further cut down on project time by adding a bagger to collect thatch in just 1 pass across the yard. 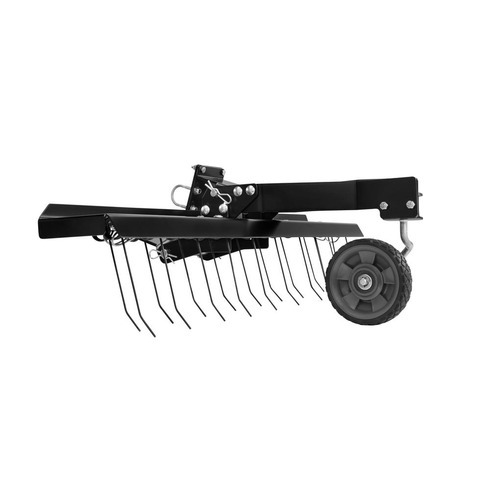 Ideal for residential lawns, the 38 in. W of the durable powder-coated frame is the perfect size for maneuvering through gates and tight spaces with precision. The mounting kit comes included and requires a quick 1-time install. When you're ready to remove the Brinly Front-Mount Dethatcher from your RYOBI Mower, it's an easy job with no tools required.